Five 2-weeks-old kittens were found at a construction site and now they need people to foster the kittens and make sure they're bottle-fed every three to four hours for about six weeks. LITTLE ROCK, Ark. (KTHV) - The Humane Society of Pulaski County is always in need of volunteers, but now they're on the hunt for anyone willing to give some time to a cuddly group of kittens. 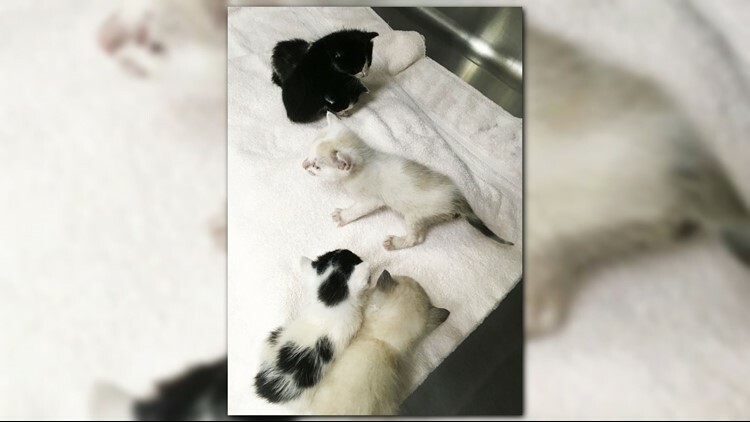 Five 2-weeks-old kittens were found at a construction site and now they need people to foster the kittens and make sure they're bottle-fed every three to four hours for about six weeks. If you're interested, but can't take on all five, that's okay! They allow you to foster as many as you can handle and offer free training. The society supplies all food, medical care and supplies. They are open to fostering year round. For more information, click here.